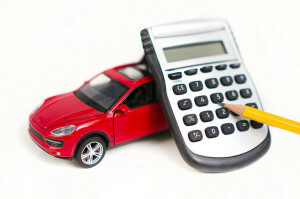 Does it make sense to file small claims on car insurance? When Amit Sharma’s new car met with an accident recently, he was unhappy but comforted by the fact that he had taken comprehensive car insurance and could get the insurer to pay for the repairs. However, a discussion with his friend put him in a dilemma. His friend advised him to skip filing a claim and instead pay for the repairs out of his own pocket because the car was not damaged badly and getting it repaired was unlikely to cost him much. Not fully convinced, Sharma felt that as his car was insured it was surely his right to make a claim. However, he was also worried about the side effects of making a claim e.g. how would it impact his claim history and renewal premiums? Therefore, he was finding it difficult to decide. Many of us sometimes find ourselves in a similar situation when our vehicle is damaged. So when should you claim insurance and when should you skip it? Industry experts say there is no hard and fast rule for filing a claim. However, it is in one’s own interest to do some calculations and keep some basic facts in mind while deciding whether or not to claim insurance. “Insurance is based upon the concept of risk and simply put higher risk is bound to increase the premium. Adverse claim history is one of the factors that impact premium rates. In case of motor insurance, for instance, it directly impacts the no claim bonus, which becomes zero and thus results in a person having to pay higher premium amounts in the future,” informs Sanjiv Bajaj, managing director, Bajaj Capital. “Before filing a claim, one should assess the quantum of loss, applicable deductibles, any impact on the NCB and future premiums if any and should proceed only then,” says Dr Sandeep Dadia, CEO & Principal Officer, Aditya Birla Insurance Brokers Ltd.